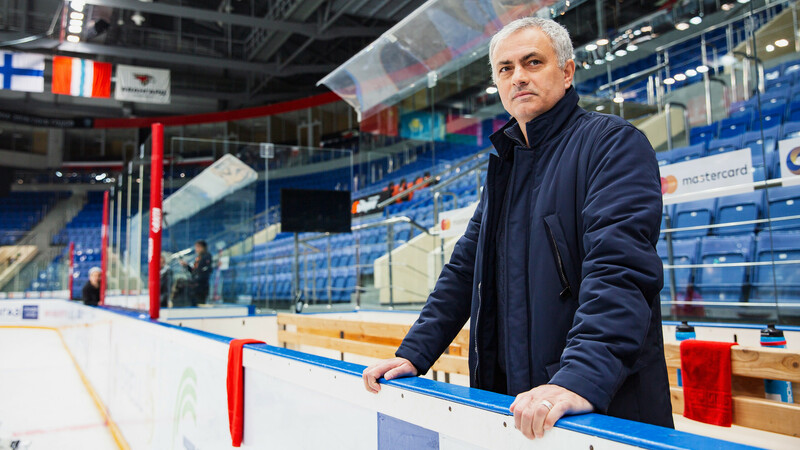 In February, the legendary football coach Jose Mourinho attended the KHL match between Omsk Avangard and Petersburg SKA. The arrival of the Portuguese specialist was a surprise for Russian fans and caused a wide resonance in the media. How did the filming of the promo video of the program “In the field of view of Jose Mourinho” (On the touchline with Jose Mourinho) in the RT gallery.